The two well-known humanitarian organization have signed a cooperation agreement in January 2011. 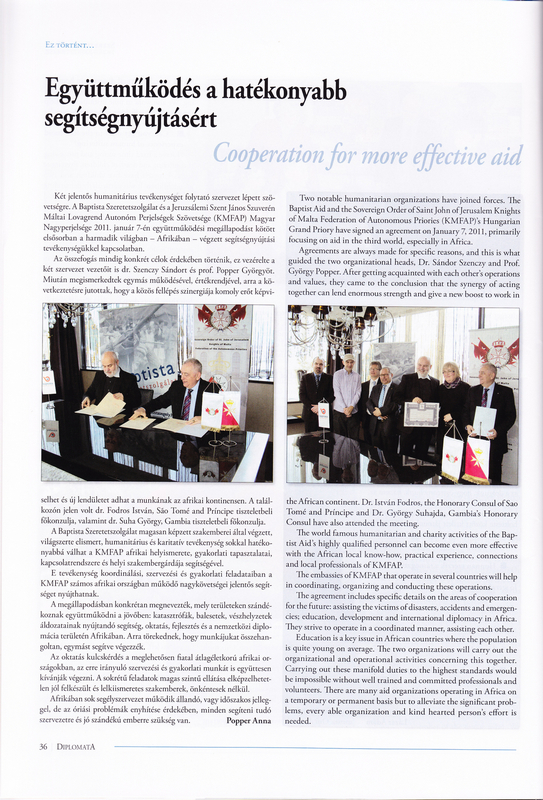 The article about this significant event was published in the 3rd issue of 2011 of the Diplomatic Magazine! The magazine article can be viewed and downloaded by clicking on the image below.